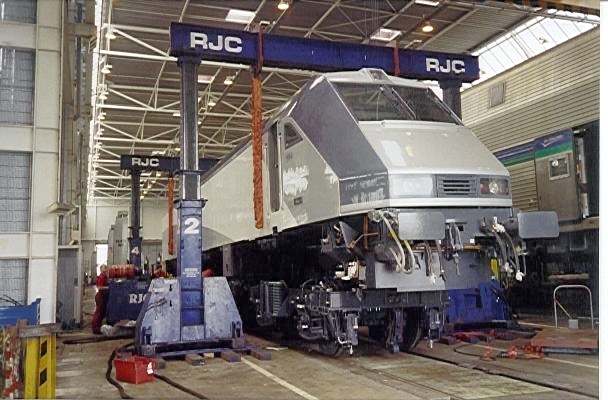 Our heavy lifting gantry played a vital roll lifting the Locos for the Euro tunnel and connecting the running gear, enabling the smooth passage for millions of commuters to travel between the UK and Europe. 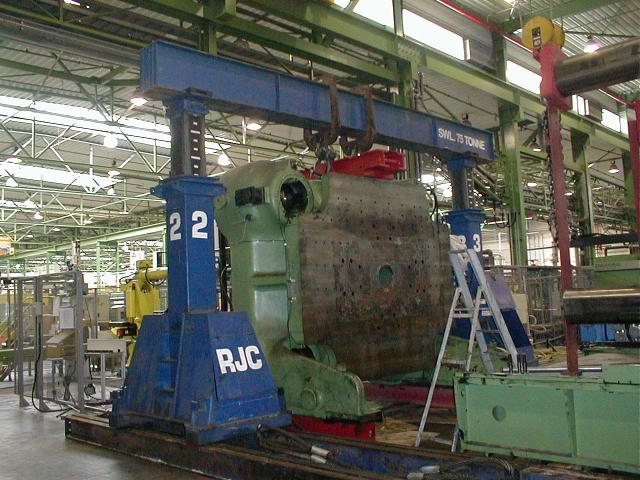 A 2700t Husky injection moulding machine, had to be moved from Belgium to Spain. To enable us to obtain transport permits we had to reduce the weight, we decided to remove the rear platen, this would reduce the weight by 70tons to allow permits to be issued to transit France and Spain, after its arrival to the customer in Spain it was off loaded with our heavy lifting gantry by our engineers, it was then moved into position and rebuilt and ready for commissioning. One regular customer asked our Managing Director to “just nip out ” to the British Virgin Isle, Tortola to look at a very complex project, on his return with all the measurements and drawings a special frame was fabricated then air freighted, along with all our equipment ,on the next passenger flight we sent 3 of our engineers to remove the entablature sideways off the engine block of this V16 cylinder Rolls Royce Engine and lift out the old crank, and replace with a new one, then refit the entablature.This had to be done in a very tight and confined space. Rolls Royce needed to move the test bed for the new Air Bus Engine, at Hucknall in the UK to Stennis Aero Space Center Mississippi USA “FAST”. 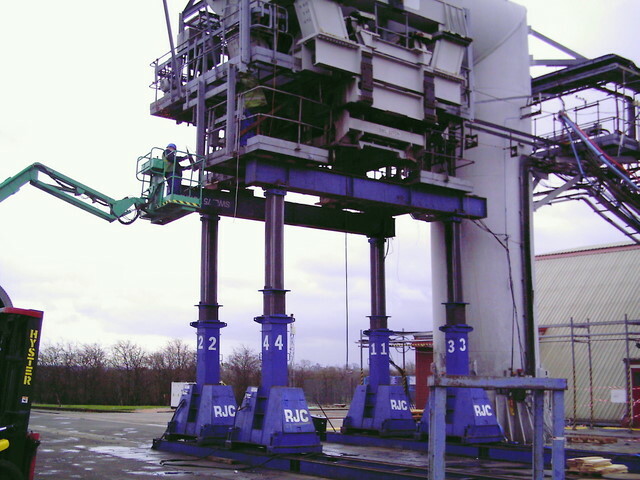 It was RJC’s task to dismantle the test frame arm using our heaving lift system, along with our engineers after it was dismantled,it was packed onto a Cargo Plane at Prestwick Airport, Scotland. On its arrival in the USA the frame was off loaded from the aircraft, our client requested the frame to be shot blasted and painted, RJC sourced a local company for this part of the project, then our engineers reassembled the test frame ready to use.